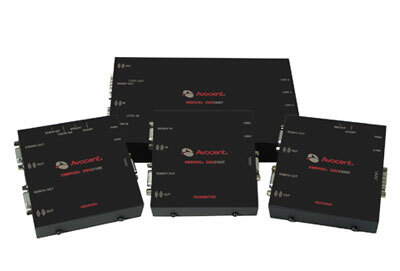 Avocent® was formed in 2000 from the merger of the world’s two largest KVM (keyboard, video and mouse) switch manufacturers: Apex and Cybex Computer Products Corporation. Our unique integration of hardware, software and embedded technologies provides a single interface to quickly and efficiently manage your IT infrastructure. We help you solve system problems anytime, anywhere, no matter the location or health of your servers or network devices. Avocent has more than two decades of combined experience in providing manageability solutions for businesses of all sizes. We help IT staff meet the challenge of attempting to be everywhere, all of the time. Avocent has grown through product innovations, global expansion and strategic acquisitions. 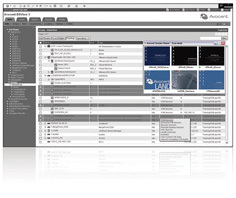 In 2001, Avocent acquired Equinox Systems; 2C Computing was acquired in 2002; and Soronti, Inc. in 2003. Crystal Link Technologies, OSA Technologies, Inc., and Sonic Mobility, Inc. were acquired in 2004. Cyclades Corporation and LANDesk Corporation were acquired in 2006. 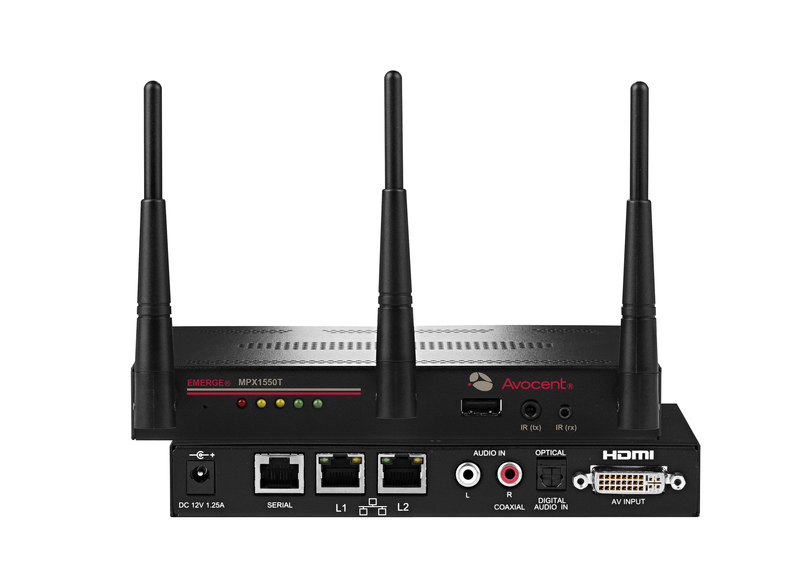 Emerge MPX1550 extenders integrate Avocent's field-proven MPX video extension and distribution engine with 802.11n radio technology and MIMO-based smart antennas. 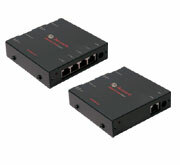 KVM over IP switch that gives you BIOS-level control of all connected servers and serial-based devices in your data center. 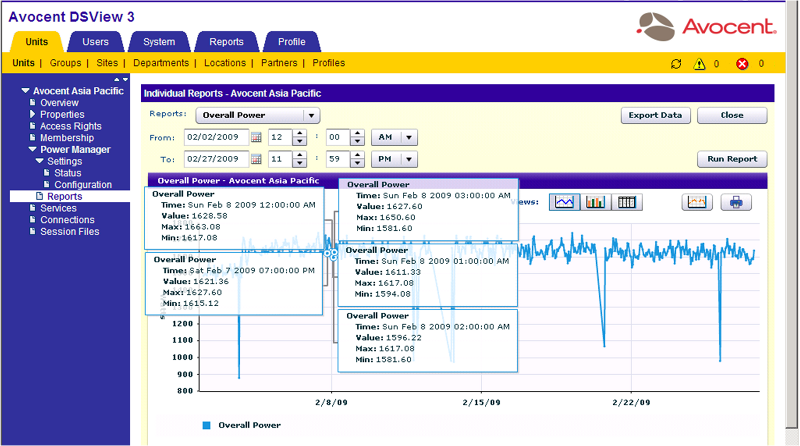 Easily troubleshoot, reboot or even power cycle servers or serial devices in remote branch offices, avoiding the need for costly on-site service calls. Specifically designed for you to easily troubleshoot, reboot or even power cycle servers or serial devices in remote branch offices. Designed for BIOS-level remote management of devices controlled by a single computer, such as ATMs. 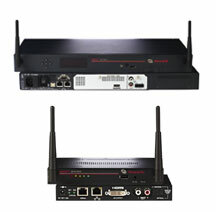 KVM over IP switch with BIOS-level control of all connected servers and serial-based devices in your data center - also includes Virtual Media. 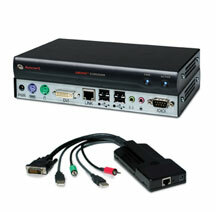 DSR digital KVM switch with Virtual Media capability provides convenient, remote access to multiple devices in branch offices.